Hannah grew up in Kansas where she loved spending time outdoors hiking the Kansas wilderness with her mom, sister, and two basset hounds. Hannah loves to spend time with her family, hike, rock climb, ski, camp, explore the outdoors, and eat really good food. 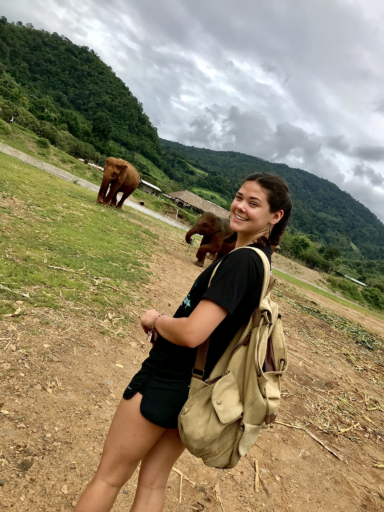 Hannah loves to spend her summers working with Loop Abroad and meeting all of the awesome students who travel through this organization. Hannah has worked with elephants (thanks to Loop Abroad), dogs, cats, and chimpanzees as a caregiver at a sanctuary in Oregon. 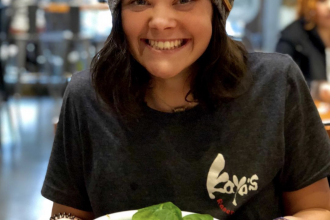 Hannah graduated from Kansas State University with her Bachelor of Science in Fisheries and Wildlife Conservation Biology in 2019.